Discover the legacy of George Vanderbilt and Biltmore with a self-guided day visit and audio tour. 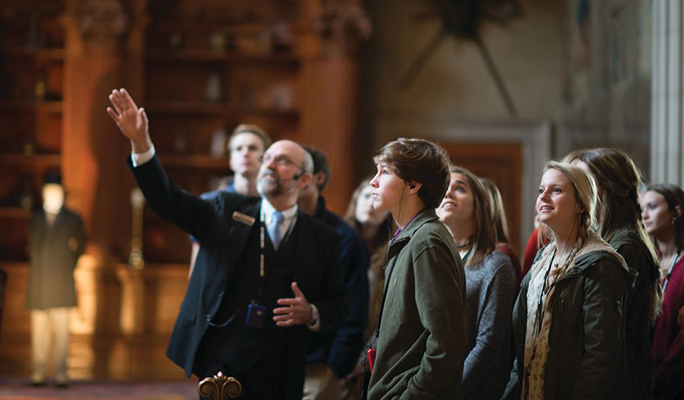 Then enhance your studies with a specialty tour with focus areas including Hospitality & Tourism, Culinary, Interior Design & Historical Restoration, Art, Architecture & Construction, Horticulture, Field to Table, Forestry, Agriculture, and Farming. You can also create your own special event with a customized experience. For more information and reservations, please call Kathleen Bartlett at 828-225-1409 or email her now.